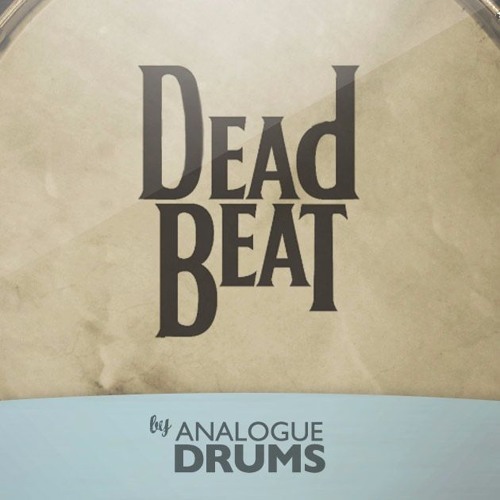 DeadBeat is a dampened kit in a 60s/70s pop style. Based around a 3-ply '70s Ludwig kit with a selection of vintage Zildjian cymbals, Ludwig and Premier snares. Deadbeat will do the Abbey Road tea-towel thing, and is also great for dry Funk and RnB, contemporary Folk and Indie, Pop, and a whole lot more. You get: 3614 discrete wav samples, quick-reference cards (PDF), sampler mapping files. RockStock is a monster 6-piece Drum Workshop kit in a punchy rock tuning, paired with a tangy Steve Ferrone brass snare and finished with a mix of fresh Zildjian and Sabian cymbals. Close mic and room mic options allow a tight or spacious sound to be achieved. Tracked through a '74 Neve desk onto a nice thick roll of tape. Plastique is a hard hitting rock kit with tone and punch for miles. This kit will drive a classic rock track with authority and add flavour to fusion and pop pieces. The kit itself is a vintage 1970s Ludwig Vistalite in Bonhamesque configuration and tuning, including two vintage Ludwig Supraphonic snares and Paiste 2002 cymbals. The kit was sampled in a big room with plenty of character imparting an expansive sound on these samples. As usual we've used nothing but the finest gear to capture the kit, including Neumann mics, a vintage Neve desk, API and Chandler preamps and a roll of 2" tape. Inspired by the drums of Motown, Stax and sweet R'n'B from yesteryear comes Monotown. It will drive home the beat to old school funk, soul, rhythm and blues. It'll also fit the bill for current indy and pop where organic production qualities are desired.